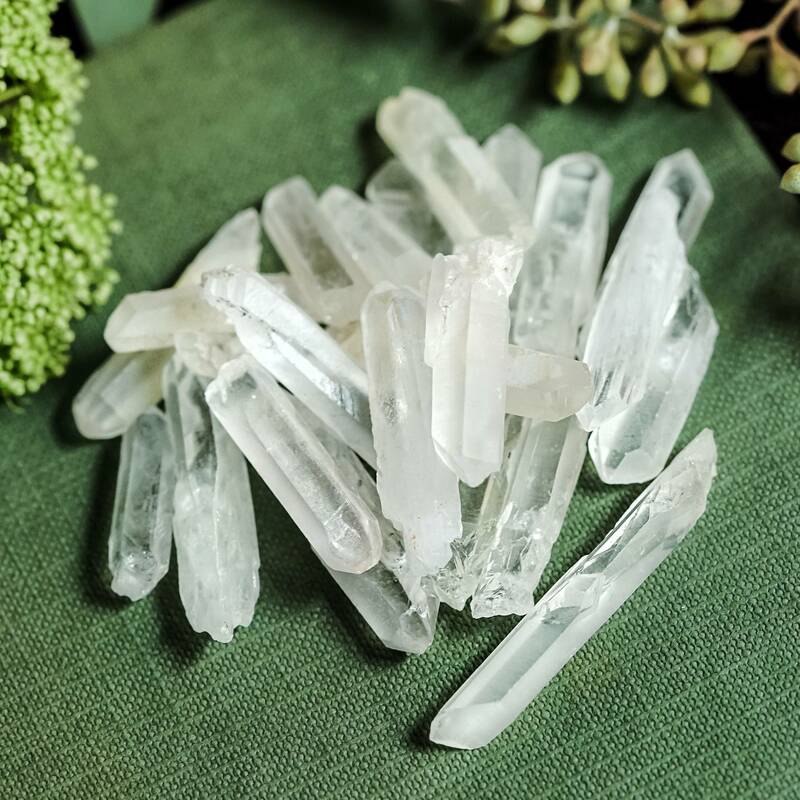 Tiny, delicate and rare, these mini faerie quartz wands are the perfect addition to a fairy garden, as an offering to the Fae, or to place on your altars and crystal grids. Faerie quartz wands are fragments of quartz that break off of larger quartz pieces when they are being sourced in the mines. Just like the mysterious Fae, these mini faerie quartz wands are incredibly hard to find – even for me. I truly believe in the magic of the woodland realm and in the beauty of nature that exists in a magical world just beyond our reach and view. This is the place where the Fae rule, where the Universe is alight with resplendent color and wonderful mystery. Do you believe in faerie magic? I know I do. These mini faerie quartz wands are absolutely beautiful! And not only are they gorgeous – they’re alive with potent magic. 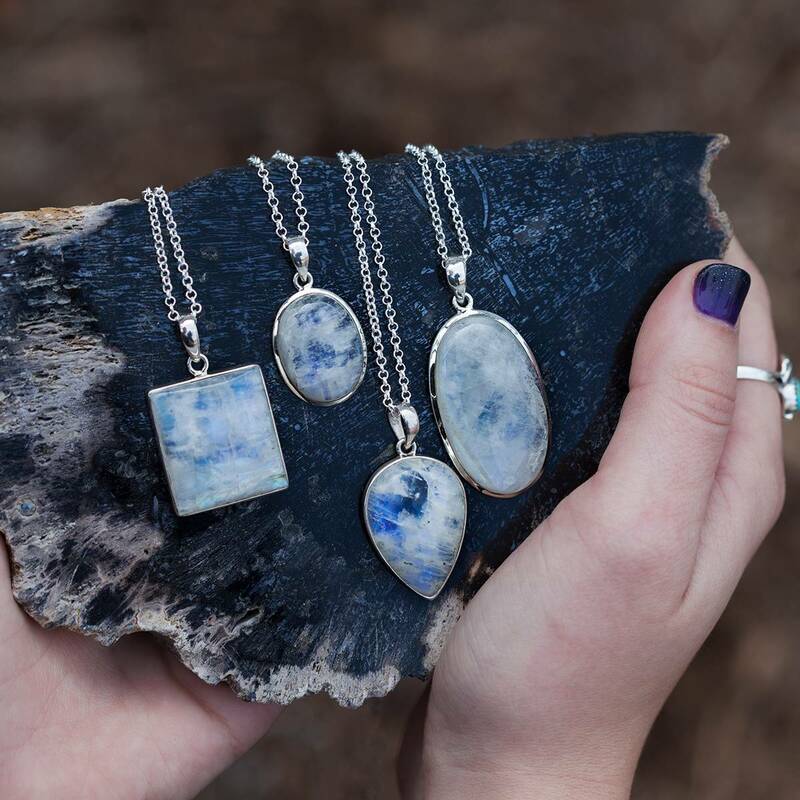 Each of these pieces is a powerful Crown Chakra activator, and will connect you deeply with the Higher Realms and the world of the Fae. 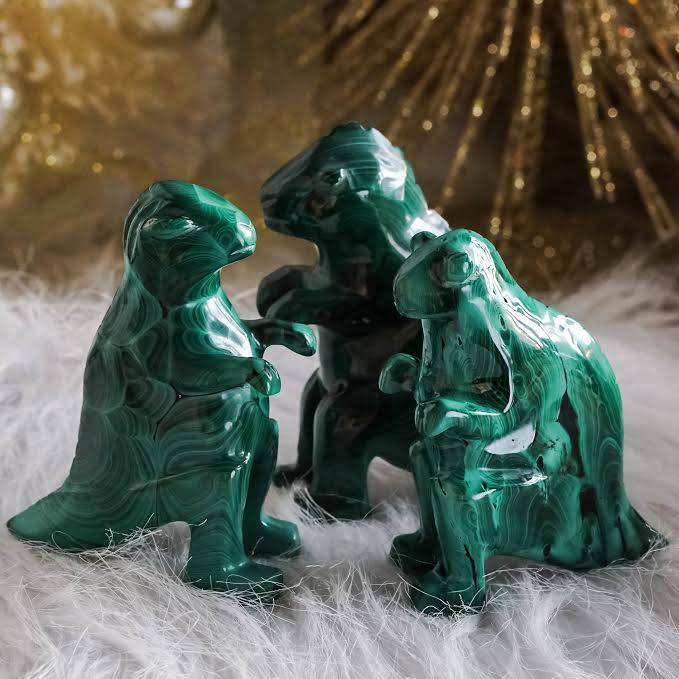 Work with these enchanting gems to open yourself up to Divine wisdom, call forth the faeries and your spirit guides, and to add a wondrous dose of mysticism to your sacred space. I personally like to leave a few of these mini faerie quartz wands in my own garden as an offering to the fae. I often stitch one of these wands to the corner of my altar cloth, or on the hems of my long skirts, where the Fae like to play. These mini faerie quartz wands have so many uses. As they stimulate all the chakras, you can use them as you feel called to do so. Listen to your intuition, it will not lead you astray. 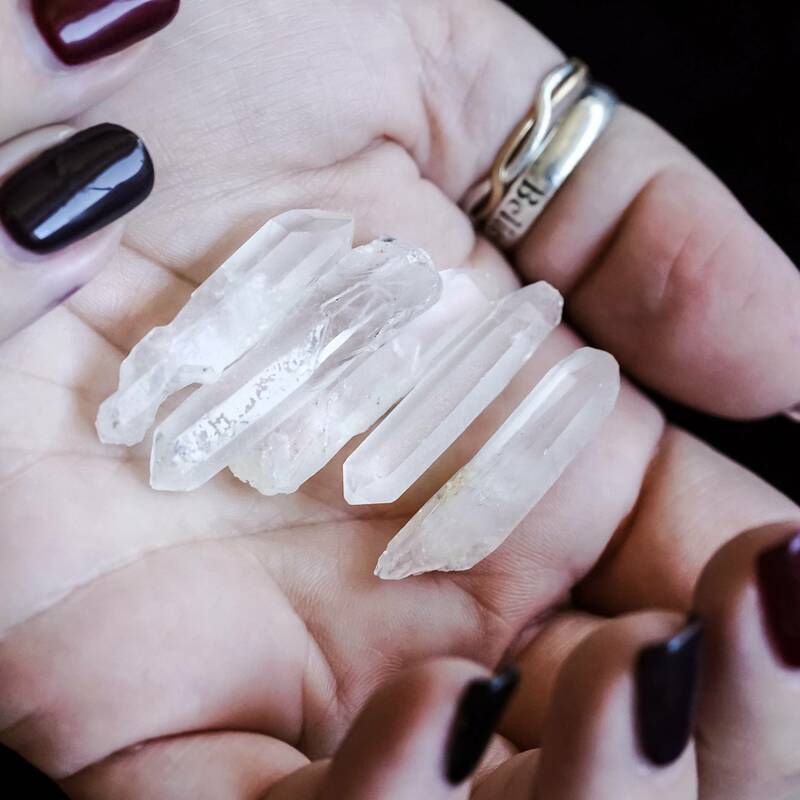 May these mini faerie quartz wands remind you of the magic that exists all around us. This listing is for (1) mini faerie quartz wand (about 1″ in size). You also have the option of choosing five (5) wands for a discounted price. Please use the drop down menu above to choose the offering to which you feel called. Yours will arrive lovingly parceled along with a single leaf of white sage and a card describing the properties of the stone.